Large quantities of snow from above and drifting snow. I hope it is over now. 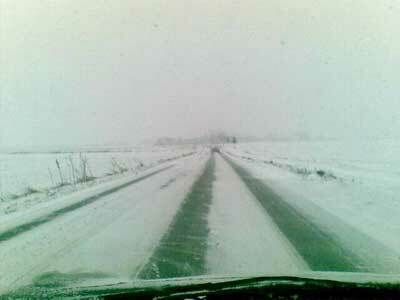 I am not enthusiastic about driving on slippery winter roads. This entry was posted in BaseWord, PhotoBase on 27 January, 2010 by Erik. … I’m ready for spring! This entry was posted in BaseWord on 20 January, 2010 by Erik. A new year has just begun, so once again it is time to look back at the old year (just to get it over with, so I can spend most of my energy looking forward here after). January 2009 started out just like January 2010, with me having difficulties finding inspiration. I would like to fill this blog with clever or beautiful words – it did not happen. In February I spent a lot of time painting the inside of my home. I did not write about it though – but then again, who would find it interesting to write about wall paint. March came up with some words to live by. Cleverly written, but not by me. Other than that: Nothing. April brought spring to Denmark, and with that a bit of inspiration. Nothing much, but more than nothing. Then May came. Oh what a month. There was time to enjoy the springtime, but it all got darkened when a friend of mine came to hospital because of a blood clot. At this time, there was still hope. June brought lots of rain to Denmark. The mood saw some rainy clouds too, when my friend, who was beginning to see light in the horizon after the blood clot, suddenly got worse and died. In July I got myself a new mobile phone, with a much better camera than in the old phone. This should raise the quality of the pictures a bit in the blog, since it often is pictures from my phone, I bring here. This month also brought another inspirational blog post – or maybe just another way to say, that I could not find anything to say. In August, I got a NAS box. If I did anything other than that, I didn’t write about it. October brought only one blog post, with just one photo. 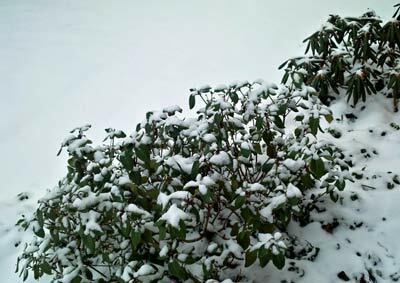 December came with two things: Yet another blog post with me trying to say something clever, and: A lot of snow. This entry was posted in BaseWord on 10 January, 2010 by Erik. The New Year has started out very cold. Maybe not as cold as Sweden or Norway; but while Canada and Greenland have a mild climate these days, it is a cold experience to be anywhere but indoors in Denmark.